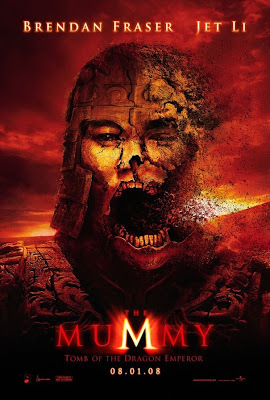 The most waited movie The Mummy – Tomb of the Dragon Emperor is now showing in most SM Cinemas. I wanted to see it because I always try not to miss a sequel of good movies (Spiderman 123, Shrek123, etc). I have seen The Mummy and The Mummy Returns, both were really fun and Brendan Fraser was handsomely hilarious all the time. Though in this sequel, Maria Bello has replaced Rachel Weisz as Evelyn O’Connell, wife to Rick O’Connell played by Brenda Fraser. John Hannah still played the role of Jonathan Carnahan, brother of Evelyn O’Connell. The most exciting thing about this movie is that Jet Li and Michelle Yeoh are part of the cast. I am pretty sure to expect many action-packed scenes. I am excited to see this movie, hopefully within the week. SM Cinemas schedules, check it HERE. i have already watched the movie. you could find it useful.